With Home at Last, an EP of six tunes, Grave Digger gives fans a taste of the recent past and a foretaste of their forthcoming album, Clash of the Gods. However, I'm not sure it will be enough to satisfy the diehard; it's a case of too little too late. Grave Digger: death is keeping watch. So here's the skinny on this small offering. The first three songs are studio cuts. Home at Last will be on the new album, but Rage of the Savage Beast and Metal Will Never Die not so. Curiously, these three songs don't reflect the speedier side of Grave Digger's power metal; they're more steady traditional (Eighties) heavy metal. The last three songs are live cuts from DVD/CD set The Clans Are Still Marching from 2010's Wacken Open Air. Actually, the songs are the very last three songs of the set: Ballad Of A Hangman, Excalibur, and Heavy Metal Breakdown, always a crowd favorite. With these, you get back to the faster side of Grave Digger. Most people I know have a 'love-hate' relationship with EPs. You're happy to have new material, but disappointed you have to wait for the full-length release. That is, if there is one coming which is not the case with latest Fools For Rowan EP, for example. The more jaded fan will merely look at this as a marketing and promotional ploy. 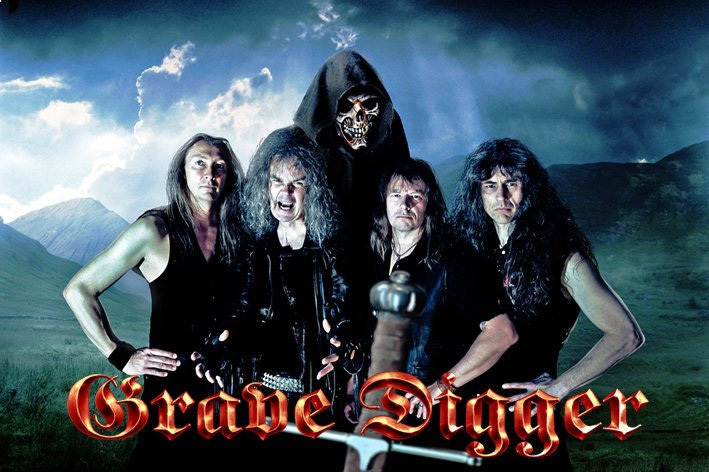 Nevertheless, Grave Digger remains constant as Home at Last is definitely true metal. 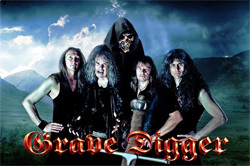 With Home at Last, Grave Digger tries to satiate the fans desire while waiting for the new album.